Despite the policy of ‘protracted childhood’, however, there was one sign that the Prince Regent might be relenting a little. Two days after the exchange in the Duke of York’s apartments, on 5 February, Charlotte was allowed to attend her first ball at Carlton House. The Duchess [of Leeds] and Miss Knight went with her. In accordance with fashion, they were ‘all in white’. The Duchess and Miss Knight wore white trimmed with gold. Charlotte wore white trimmed with silver, and for the first time, again in the height of fashion, she wore ostrich feathers in her hair. For Charlotte, the ball was a bit of disappointment. She had been led to believe that it was being given for her, but when the time came it was Princess Mary and not Charlotte who was asked to lead off the dancing. She had hoped that she would be able to dance with the young Duke of Devonshire, but soon after she arrived she was told that he was indisposed. The son of famously beautiful Duchess, Georgiana, the 23-year-old Duke of Devonshire was very deaf and consequently shy and silent. Charlotte had ‘liked him very much’ when she first met him. She was proud that she had put him at his ease and induced him to ‘talk a great deal’. But she was not attracted to him. As she told Mercer, ‘he is certainly very plain’. 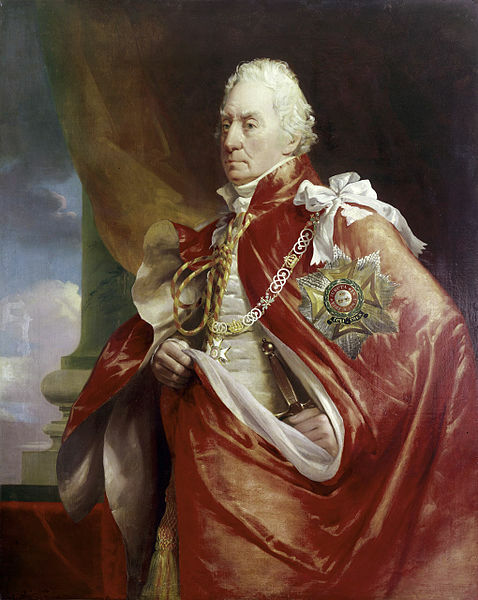 Nevertheless, as with the Duke of Gloucester, Charlotte’s father was worried by his apparent interest in her, and particularly so in this case because the Duke of Devonshire was a leading Whig. ‘Really the Prince Regent is so excessively tiresome & absurd about everything of that sort’, she wrote to Mercer, ‘…& he is so suspicious always about my politics’. It may be therefore that the Duke was not present because the Prince had told him to stay away. 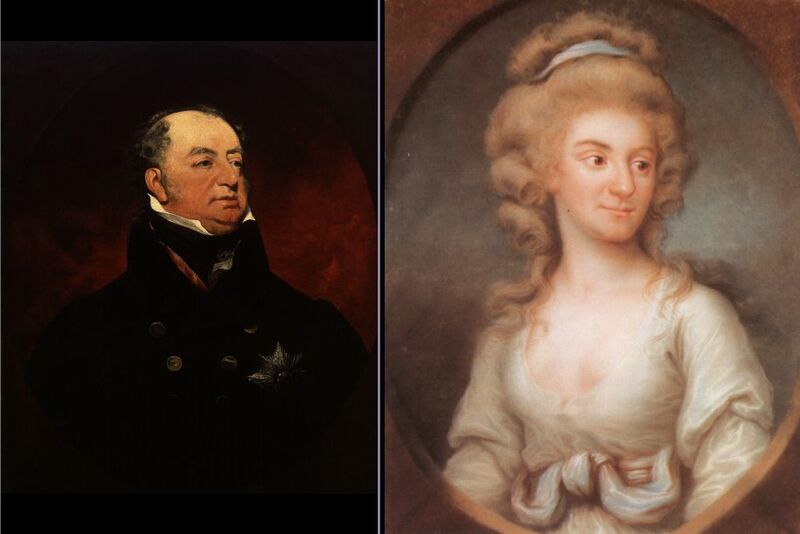 Without the young Duke, Charlotte could only dance with her uncles and other, much older, partners. As one of the other guests, Miss Mary Berry, put it, ‘all very magnificent, but such a lack of dancing young men and, indeed, women, I quite pitied the Princess Charlotte from the bottom of my heart for the dulness of the ball’. But this, at least, was not due to any exaggerated caution on the part of the Prince Regent. There was a dearth of good dancing partners in London in 1813. Like George FitzClarence and Charles Hesse, most of the young men worth dancing with were serving with Wellington in Spain. Cornelia Knight enjoyed the ball even less than the Princess. 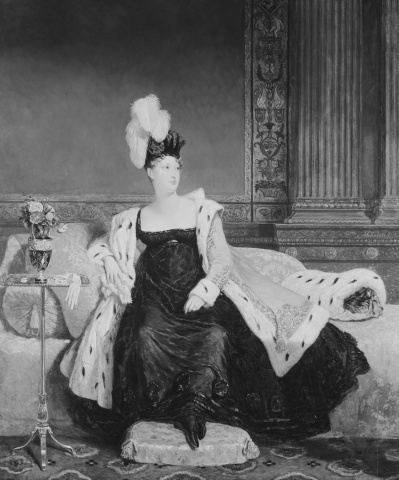 In the course of the evening the Prince Regent took her aside and subjected her to a long, detailed and embarrassing diatribe against his wife. At the end of it he ‘even accused her of threatening to declare that Princess Charlotte was not his daughter’. Like the rest of the royal family, Charles’s father, the Duke of York, was at least aware of the inappropriate meetings in the park. But he did not feel inclined to reproach anyone. 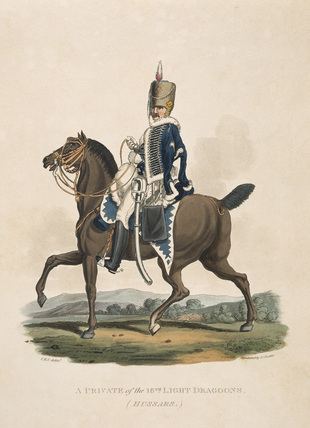 He was one of the many who disapproved of the way in which the Prince Regent prevented his daughter from appearing in public or even in society. If the Princess was lonely, she could hardly be criticised for taking pleasure in such company as she could find. His Duchess agreed with him. So they decided that, if the Regent was not prepared to bring his daughter out, they would do it for him. They would invite Princess Charlotte to stay at Oatlands, their country house in Surrey, and while she was there they would give a ball. The childless Duchess of York, whose uncle was Frederick the Great, respected her husband as a soldier, but in most other ways she preferred the company of her menagerie to his. Nevertheless she knew her duty. She tolerated his infidelities with dignity. She turned his country house into a comfortable home. When he went there with his many crude companions, she had a warm welcome for all of them. She was a generous hostess. She served dinner much later than anyone else in England, and like her husband she was happy to sit up all nights afterwards playing cards. She hated ceremony. At Oatlands there was none of the stiff formality that pervaded the households of the other royal dukes. In atmosphere it was more like a little German palace or the home of an English country gentleman. Everyone who went there spoke well of it. The only drawbacks, they said, were the smell and the insanitary condition of the carpets – very few of the Duchess’s forty dogs were house-trained. Charlotte went to Oatlands in November. The Duchess had laid on everything possible to make the stay enjoyable. 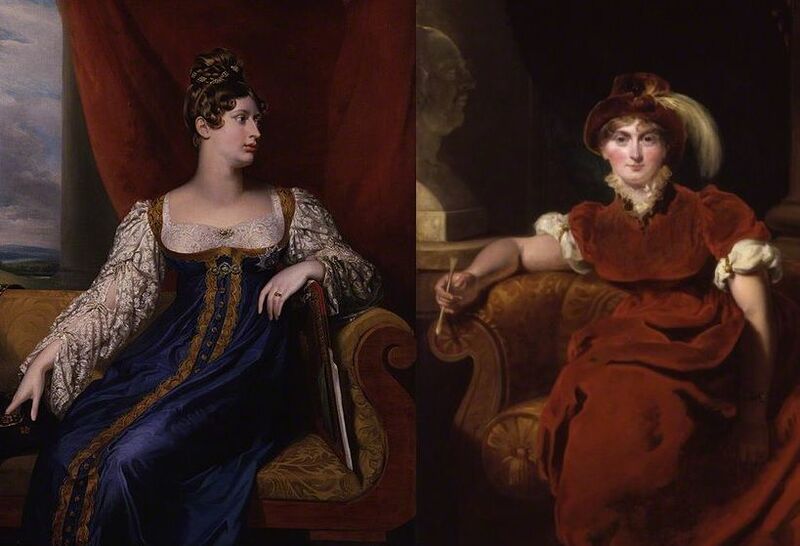 Among the guests in the houseparty there were several of Charlotte’s age, including Anne and Georgiana Fitzroy, the nieces of Lord Wellington. Expeditions were arranged almost every day. On one day they went to Hampton Court Palace, which Charlotte described to Mercer as having ‘an air of gloom & coldness about it which is frightful’. On another they went to ‘the famous house’ at Paines Hill. And then they visited a house called Claremont. The drove over to Claremont twice. On the first day they were shown round the elegant Palladian mansion, which Clive of India had begun to build over forty years earlier. On the second they inspected the splendid park, which had been designed by ‘Capability’ Brown. Clive had committed suicide before he could enjoy it, and since then there had been so many owners that no family had lived there long enough to make it a home. Charlotte did not share her first impression of Claremont with Mercer. But another visitor, a few months later, gave hers. ‘It is’, wrote Jane Austen sadly and prophetically, ‘a house that seems never to have prospered’. The climax of the visit was not one ball but two. The first, according to Charlotte’s letters, did not end until after 2 am, and on the on the following night the walzing went on until after four. Charlotte ‘enjoyed it of all things’, despite the conduct of her father, who had grudgingly agreed to be among the many guests. On the first evening he hurt her, and shocked everyone else, by ignoring her. On the second, while the Scottish Member of Parliament William Adam was attempting to teach her the ‘Highland Flurry’, he insisted on joining in the demonstration. For a moment or two the Regent and Mr Adam, who was Mercer’s uncle, reeled round the room together. Then the Prince struck his shoe against the leg of a sofa, fell over and tore a tendon in his foot. Being the man he was, he made a fuss, retired to bed and remained at Oatlands for over a fortnight. Inevitably, when the story got out, the Prince’s many enemies said that he had obviously been drunk. But, if he had been, Charlotte would have admitted it to Mercer. According to her letters the only guest who got ‘beastly drunk’ was Richard Brinsley Sheridan, remembered now as a playwright but equally well known then as a leading member of the Whig opposition. Having introduced the Princess to the waltz, clearly the Duchess of York’s next duty was to take her to the opera. The visit was arranged to take place on 22 February the following year, when Charlotte would have passed sixteenth birthday. Meanwhile the Duke attempted to improved her mind, and perhaps her English, by lending her an anonymous novel, which both he and she believed had been written by Lady Anne Paget.